Click the pic for the full article - ENJOY! Last edited by fastboatman29212 on Sat Aug 17, 2013 5:18 pm, edited 4 times in total. Thanks for the write up Fastboatman. I ran my lines using your pictures and the book. Seems that an 84 is a beast unto itself. Similar to yours, but different. It idles sweetly in neutral. As soon as I put it in drive, it stalls. I'm stumped. Anyone have a thought? I have an 84 Factory Service Manual, so I might be able to help if you need info from the FSM. Thanks, but I have it. Have you tried capping off the vac lines just to see how it runs with them capped off? That should tell you if it's a vacuum leak or not. The mid 80's engines were a mess I tell you. Thankfully you made this thread! Excellent read and will prove invaluable to any 720 owner. I can't stress enough how much of a difference replacing the vac lines on my KA made in terms of smooth performance, runs like a brand new engine now. Stay tuned. There are a few more vac lines (believe it or not) that I have not shown yet. Photos coming soon! Anyway, I recently found some vac lines that I didn't know were there. All of this stuff was designed for a reason and by people who are way smarter than me. 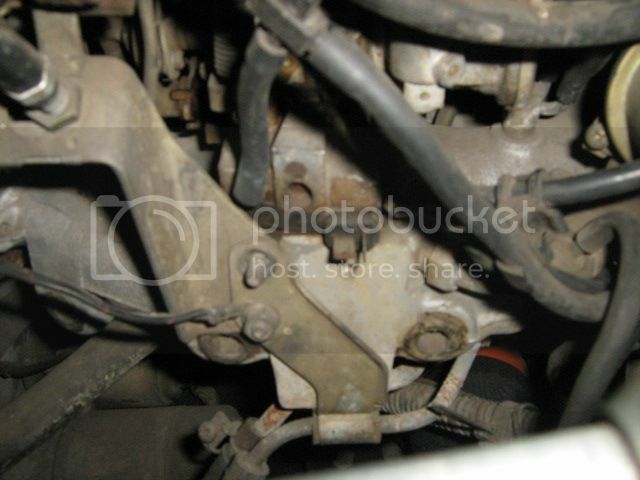 Fortunately all of my vac lines are on correctly but my issue is the 2 prong plug on the side of the carb. What is its purpose? Whomever had the truck before me cut the plugin off the end of the harness so I had to put 2 female spades on there. But now which wire goes to which plug? This is how it once was, right now its unplugged. I'll get you an answer today or tomorrow at the latest. Mine's still intact. fastboatman29212 wrote: I'll get you an answer today or tomorrow at the latest. Mine's still intact. It looks like the wires are switched in the photo you posted above. Hey, you had a 50/50 chance of being right, LOL! See my new post. It should help! fastboatman29212 wrote: It looks like the wires are switched in the photo you posted above. Hey, you had a 50/50 chance of being right, LOL! See my new post. It should help! lol same thing I told myself, "I got a 50% chance of getting this right or wrong" lol. I tried it both ways a few weeks ago and I was getting arcs from the vertical clip no matter which wire touched it. wow you have fantastic DIYs and threads! Thanks. I believe in helping others when I can. I am far from being an expert though. Really just a backyard mechanic is all. FastBoat, have you ever considered writing articles for NICO? I got tired of all the vacuum lines and decided to get rid of all the crap that wasn't needed. I eliminated 12 vacuum connections and my Hitachi is still working great. That z2.4 actually runs better and my fuel economy increased by a couple miles per gallon. This thread was created to help people who needed to get their vac lines back on correctly because the prior owner messed them up or other similar reason. I might try running my carb with the vac lines deleted sometime soon. I agree that they sure are a mess to deal with. Anyway, I can't blame anyone who deletes them. You did an awesome job of listing out and diagraming the lines. 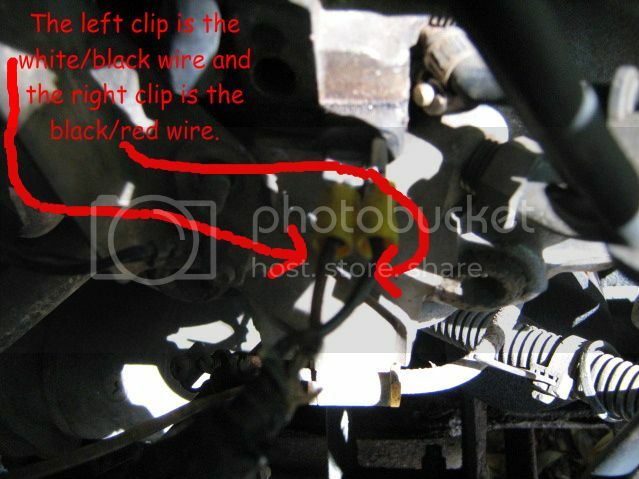 Before I took the lines off my truck I spend many hours trying to find the information you have outlined here. I agree with Reverend. Perhaps you should consider writing articles. Not many people can communicate that clearly. If you ever want to eliminate a lot of hoses on your truck let me know and I can show you what I did on mine. Hey Fastboatman, I just wanted to say a big THANKS for doing this thread. I was finally able to get to work on the truck this weekend and got it all sorted out. I couldn't have done it without your help. ThatsDifferent wrote: You did an awesome job of listing out and diagraming the lines. 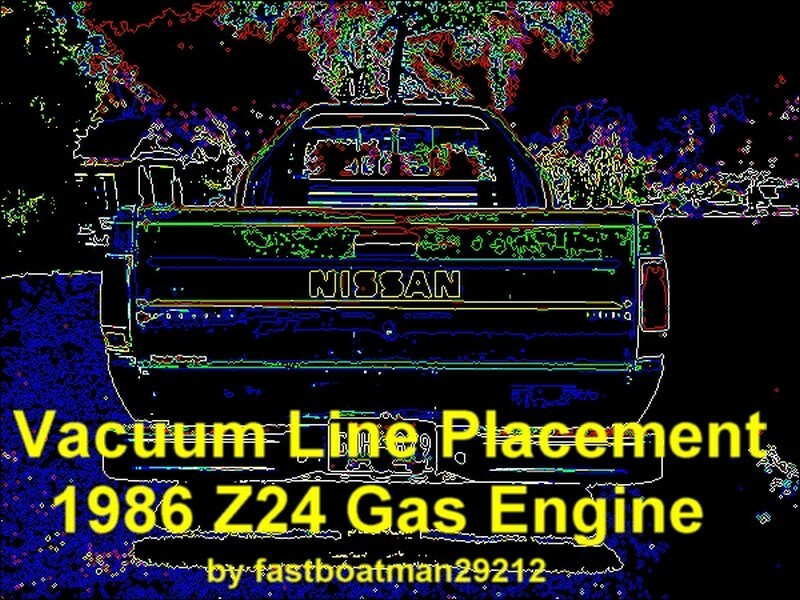 Before I took the lines off my truck I spend many hours trying to find the information you have outlined here. I agree with Reverend. Perhaps you should consider writing articles. Not many people can communicate that clearly. If you ever want to eliminate a lot of hoses on your truck let me know and I can show you what I did on mine. this is all verrrry confusing to me. i got $100 and a box of beers to the person who can come and replace my vacuum lines in Toronto. Im suuuure mine a shot and would love this "new engine feel" that everyone seems to be talking about! You are right, these lines ARE confusing! LOL! That's why a lot of owners delete them. If laws in Toronto require that you keep them, I'm here to help you get it right. I found a few pages in the FSM (1984) that can help also. Your truck looks great and I want to help you keep it running if I can. Having said all that, if Toronto law allows you to delete the vacuum lines and cap off the ports, that's gonna be a whole lot easier, so that would take very little time and I think I can help with that too. All of this is done assuming that your carburetor is working properly, which it probably is if you can drive it without a lot of stuttering or stalling. Fastboatman, how would i find out if Toronto laws require me to keep them? If your area has an emission inspection every so often, then they inspect for modifications too. If you ask your local auto mechanic or auto parts store, they should know if you have emissions laws. Forgive my ignorance but what vacuum lines are able to be capped? You actually cap the ports that are on the carb, the carb spacer and leave the vacuum line to the brake booster and distributor as they are. Thanks for the DIY's boatman. One question though. I only have one vac line unplugged. The little vacuum motor on the breather right hand side above the exhaust. I see in one of your pic it's labeled as B, and connects to a T, but it never shows where the other 2 ends go.. could you possibly help me out. Maybe I'm not looking close enough at your pics. It's right above the heat riser tube thing. On the 10th picture from the top. And thanks for the help. The vacuum tube labeled "B" that comes off the air cleaner does not have a Y connection. One end connects to the underside of the cleaner housing and then follows along the air cleaner and connects again to the cleaner housing where the heat riser tube connects to the air cleaner. I'm not positive we are talking about the same thing because there is no "Y" connection.